How to read the cycle maps. 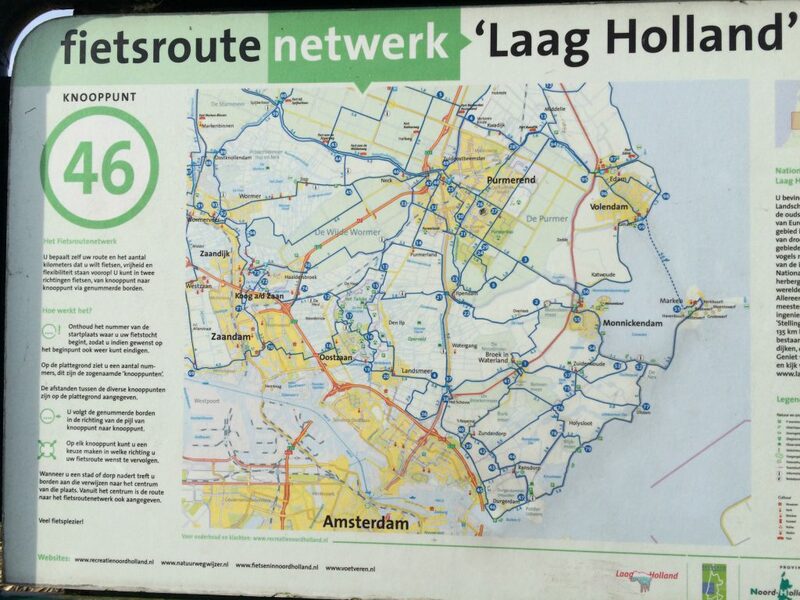 If you’re European, you probably know how to read cycle route maps in The Netherlands. Perhaps all the countries in Europe use the same system. But as a North American, I had NO IDEA these cycle maps were labelled differently than what I was used to. 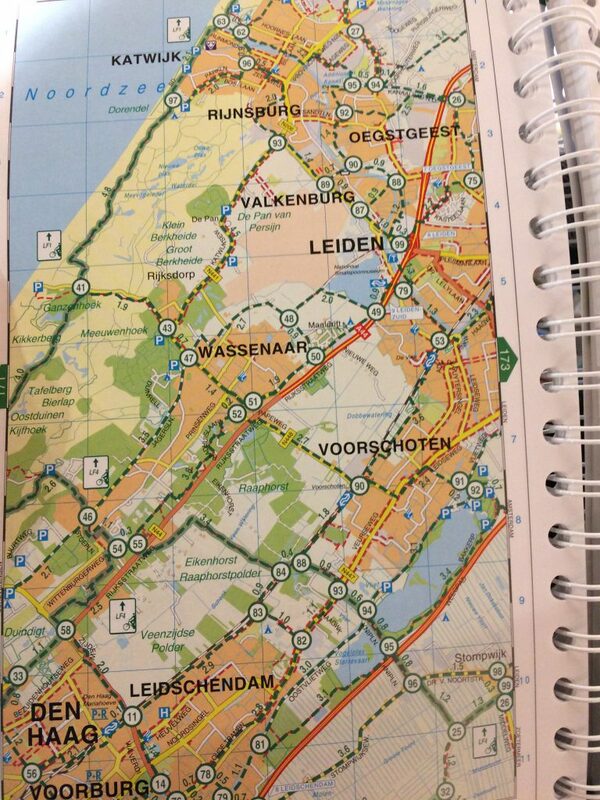 After all, European road maps are read the same way as North American road maps; why would cycle maps be any different? A section of the Toronto bike map. So in the above picture, you can see Route #7 travels north-south, and Route #6 travels east-west. On the street there are signs that tell you that you’re on Cycle Route #6 or #7, just like if you were driving on a highway you’d see signs for Highway 10 or whatnot. 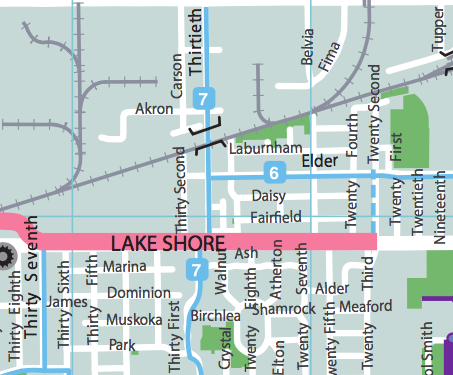 And if you’re cycling in the bike path on Lakeshore (which is a major road for cars too), it’s not numbered, you’re just cycling on Lakeshore Avenue which is clearly signed for motorists and cyclists and pedestrians alike. In this picture are two of the main cycle paths in Toronto – the Waterfront Trail and the Humber Trail. 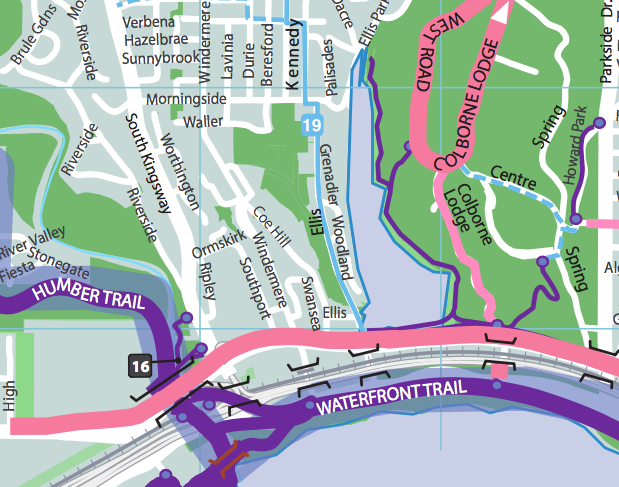 If I was to give directions, I would tell people to cycle west on the Waterfront Trail and turn right (or north) onto the Humber Trail. Periodically, signs along the Waterfront Trail will remind you that this is the trail you’re riding on. And as you approach Humber, signs will point to that trail. And once you’re on the Humber Trail, it’s also labelled with signs telling you the name of the bike path you’re now cycling on. In conclusion, signage for bike routes uses the same method as motor vehicle routes. A map plaque in the Waterland region of The Netherlands. … and I’d be like, “Oh, I guess we’re on route #46. So let’s go straight on #46…” But none of the signs indicated the direction to continue on #46; they all pointed to wildly different numbers. And the numbers on the map all seemed slightly off or between paths, and we couldn’t figure out what route they applied to. What was going on? Were our jet-lagged brains making us cross-eyed? We quickly gave up on reading these map plaques and just used the GPS map on Pier’s phone to point us in the right direction. The numbers are all at INTERSECTIONS. The numbers don’t correspond with the paths, they correspond with intersections! The intersections are numbered!!! So say we were at intersection #48 smack-dab in the middle of this map with signs pointing to intersection #47, #49, or #50. If we wanted to get to Leiden, we’d head towards #49. This does actually make a lot of sense now that I know how to read it. If only we’d known this while we were in Europe. That said, though there are big map plaques at some intersections, other intersections only have signs pointing to these numbers. Therefore, you still need a cycle route map book to navigate this system, or you’d need to look up the route ahead of time and write down the intersection numbers before you head out. Personally, for our next European cycling adventure, I’m just going to order a nice map book and have it shipped to Canada long before our departure date. 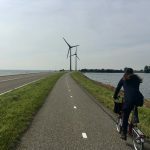 Now that I know how to read this cycle route map system, I can’t wait to return to The Netherlands and cycle more places! 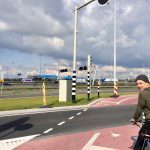 Can you tell me the name of the official netherlands cycle map book you refer to in “How to read a cycle route map of the Netherlands” A picture of the cover would also be great so I get can order the correct book. Yes, I want to get notified about new blog posts!